Customers work out with punching bags at TITLE Boxing Club. The club, which opened in Evanston in April, is now seeking to engage more with the Northwestern student body. An Evanston boxing gym open since late April is striving to bring a unique way to exercise to both the Evanston community and the Northwestern student body. 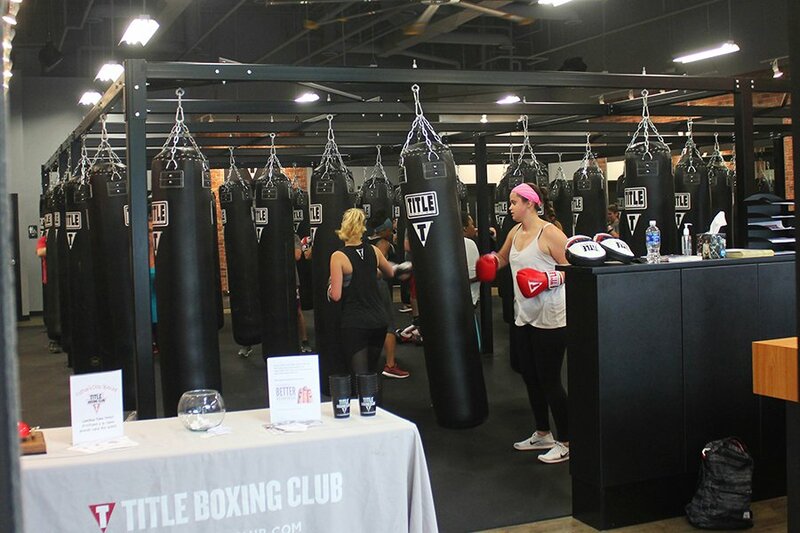 The boxing club, a TITLE Boxing Club franchise gym, focuses on members’ fitness, as opposed to other boxing gyms that train people to fight, owner Paige Hopkins said. After she tried out a TITLE boxing class in Chicago, Hopkins — a Kenilworth resident — said she wanted to bring a franchise gym to her community to fulfill an unmet need. The initial cost to open a franchise gym ranges between roughly $150,000 and $400,000, according to the company’s website. Hopkins said the club is open to exploring partnerships with the Northwestern student body and various student groups. In the past, she said, the gym held an alumni event class with Kellogg graduate students, and it has reached out to Northwestern fraternities and sororities about programming for the upcoming school year. Medill sophomore Morgan Smith, who has taken classes at the gym, said she felt comfortable there because it’s small and filled with beginners. She said the instructors are young and energetic and that the atmosphere is very welcoming and supportive. Smith said she plans on becoming a full-time member of the gym during the upcoming school year. She recommended the gym to other students because it’s affordable, especially in comparison to other alternatives throughout Evanston. Michael Itter, the general manager of the gym, said he got into boxing while overseas in Iraq with the U.S. Army. Itter said that when he’s hitting the bags, he’s completely focused. Though he has worked with several different gyms, Itter said what makes the TITLE Boxing Club in Evanston unique is how much the trainers care about the members. There, he said, the environment is family oriented. In the future, Hopkins said she is looking to expand youth programming primarily for children aged 9-12, and to add more of a family membership base. She also said she has the rights to build three gyms in the North Shore “territory.” Plans for the additional two gyms are already in the works.